One of the purposes of this blog is to throw ideas against the wall and see if they stick. Sometimes I’ll openly ask for feedback and sometimes one of you will leave a comment that changes my opinion. When I have a bias, I try my best to disclose it. I also try not to present myself as an expert. In many places on this blog, I clearly state that the only client I train is myself. As I stated two years ago, Half the Ideas in this Blog Are Probably Wrong. This is the summer where my view of running and injuries were altered slightly. Don’t get me wrong, I still there are better choices than running, but I can now better understand the pro-running argument as it applies to injuries. I received this comment offline from running writer Alex Hutchinson. Joints are like most other parts of the body: they respond to stress by adapting (e.g. by increasing joint surface area and proteoglycan synthesis), but beyond a certain point stress produces negative effects instead of positive effects. I should emphasize that, while these possible mechanisms exist, I doubt they’re particularly significant. The biggest factor (as Williams’ study suggests) is simply weight – not just because of the extra load on the joints, but because fat tissue is metabolically active and secretes inflammatory hormones that affect tissues throughout the body, including joint cartilage. That’s why people who are obese have a higher risk not just of knee osteoarthritis, but also of wrist osteoarthritis: it’s not just about joint loads and forces. Weight and inflammation might be more important causes of joint pain than the force of running. Which Comes First, Cardio or Weights? 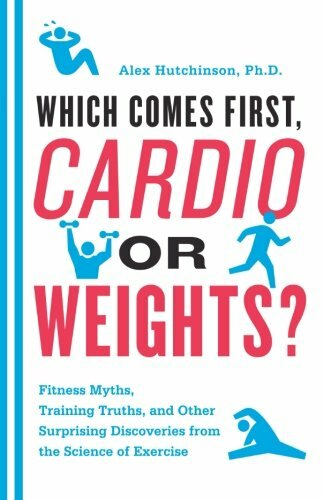 : Fitness Myths, Training Truths, and Other Surprising Discoveries from the Science of Exercise by Alex Hutchinson. I haven’t read this yet, but plan to. What is the general advice given by running gurus to avoid joint injury? I read several sites and came up with this list. I’m not a running coach, so I’d just use this list as a starting spot. Even though I have some experience running, I’ve never much appreciated the skill component of the sport until after I stopped running and began strength training. With weight lifting you will quickly learn the pains of poor form. With running it may take longer. If I were running today, I’d use far less volume, wear proper shoes, and I’d have a fellow runner watch my form and make recommendations. With High Intensity Training, I don’t return to the gym the moment I return back to baseline, but instead follow the advice of Dr. McGuff and wait an additional day or two. So I’d always choose an extra day of rest over more running. Minimizing injury risk would be more important than any mileage or time goals. Even if you follow the best running advice to the letter, you still might not be the type of person who benefits from running. Or you may have done so much damage from other sports or previous running attempts that you won’t be able to run. I suspect this is the case for me. Previous Can Running Be Antifragile? Good stuff, especially the seven-item list. @Glenn – Just listened to the show. I like Alex’s laid back attitude when it comes to food. Thanks for sharing.